Discussion in 'Minecraft Frontiers News and Announcements' started by Tomas, Jan 27, 2019. 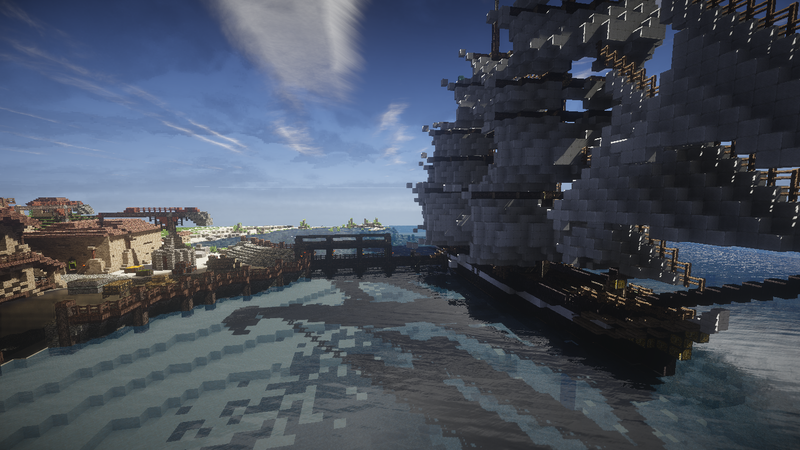 Crafting has always been at the heart of Minecraft Frontiers. It is the primary avenue of generating coins for both you and the city. It is our most detailed system, including multiple-step recipes, fully custom items, variable recipe difficulty and links to the trade/export game-play. You can read about all of those on our wiki. In this post, I'd like to open up a discussion around a feature called crafting disciplines. As a player, you are free to pursue any activity in Elpida. We won't restrict you from attempting to craft a specific item. That said, the intricate multi-step crafting process means that specialisation is necessary. Crafting a sword will require obtaining a range of ingredients and intermediate components - from blacksmith's hammers, to rare ores or sharpening stones. None of these will be useful when crafting a healing potion. This means our recipes are naturally organised into disciplines. Each discipline is a group of recipes and items that complement each other. Cooking: Preparation of food and drink. Necessary for replenishing energy. A great entry-level discipline due to the abundance of easily crafted export requisitions that generate coins. Blacksmithing: Crafting of weapons, armors and tools. Incredibly useful to anyone interested in combat. Offers a range of difficulty, from intermediate short swords to challenging legendary armors. Jewellery Making: Fine crafting of accessories and gems. An advanced discipline, requiring rare materials and fairly expensive components. Ideal for those interested in trade, as it yields the most lucrative export requisitions. Alchemy: Mixing of herbs, creating potions. A quality of life discipline, making the Elpida experience more forgiving. Generally low export value, but crucial to any player as alchemists produce the only means of health regeneration. 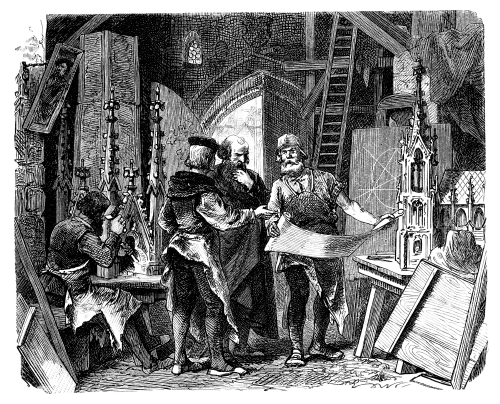 Carpentry: Drafting of house deeds. The most valuable discipline to cities. Each building ordered by either a player or a city will require a house deed. A time intensive path due to high amount of required resources. Mastering it ensures the progression of Elpida, which can have a significant impact on the whole community. Curating: Producing collections. Works closely with hunters and explorers to turn relatively useless combat finds into incredibly valuable showcase products. Enables players to gain much higher reputation yields from their hunts, making the curator a much desired crafting discipline. We have additional disciplines planned for post-launch updates. You can also except a constant stream of new items and export requisitions for the disciplines listed above. To make each discipline feel authentic, they each have a unique design philosophy. Crafting swords will feel very different to making potions or drafting houses. Even if you end up using the same in-game mechanics, the underlying recipes will show very different patterns between disciplines. Each path has a quirk to it. This allows you to experiment with the different disciplines, finding just the right play-style for you. This has two functions. Each discipline will feel fresh and different. If you choose to be a baker, you will learn the nuances of making bread - the process will be second nature to you. On the other hand, it makes transferring between disciplines challenging. A highly experienced blacksmith won't necessarily excel at making houses. There will be a learning curve to pick up, which makes your time investment in a discipline worthwhile and valued by other players. Cooking - Flavors: Food items have flavor attributes. The discipline has the ability to add unique flavors to the products, optimising the flavor palette of a dish by second-crafting. This is the process of taking seemingly finished outcome item (e.g. wolf steak) and seasoning it using a varied selection if ingredients. Properly seasoned dishes are sought after by the nobility, while poorly seasoned dishes are only good for the bin. Blacksmithing - Gear Optimisation: Blacksmiths have the ability to reforge their weapons. This means taking a base weapon - e.g. a short sword - and changing its combat performance. You may opt to make lightweight variants that attack quicker, or heavier variants that pack a stronger punch. Jewellery Making - Customisation: Jewellery comes in a range of designs. This discipline allows you to choose variations of a product by making small adjustments to the recipe. Will you engrave a golden bracelet with a heart to court a charming noble, or a skull to ponder your own mortality. Alchemy - Negative Effects: The unique aspect of this discipline is the need to balance positive and negative effects. The recipes give you flexibility, but also punish you for trying to achieve too much. Perhaps brewing a healing potion three times wasn't a good idea and you accidentally ended up with a bottle of poison instead. Carpentry - Crates: Making houses requires a huge amount of materials. This discipline relies on resource crates - bundles of resources that come in bulk. A carpenter has the ability to merge wooden planks into industrial crates, resulting in products that are incredibly valuable (and relatively intensive) to craft. Curating - Incomplete Recipes: This discipline is sensitive to the ingredients. It has the most flexibility, allowing you to create basic collections easily. As a result, the recipes are unpredictable and you never quite now if you got the best item possible, or if there was a component that would have made your collection 10x more valuable on the market. Curating rewards those who enjoy playing with recipe combinations. Each discipline has a Mainland faction associated with it. You will need to elect your Trade Magistrate carefully, as forming the right relationships is key. Once Elpida has high enough political standing with a Mainland faciton, the Trade Magistrate will gain the option to spend city money on ordering imports of rare goods. The Mastercrafted items usually require trade imports, which makes politics a key piece of the puzzle. QuannTan and Alir99 like this.